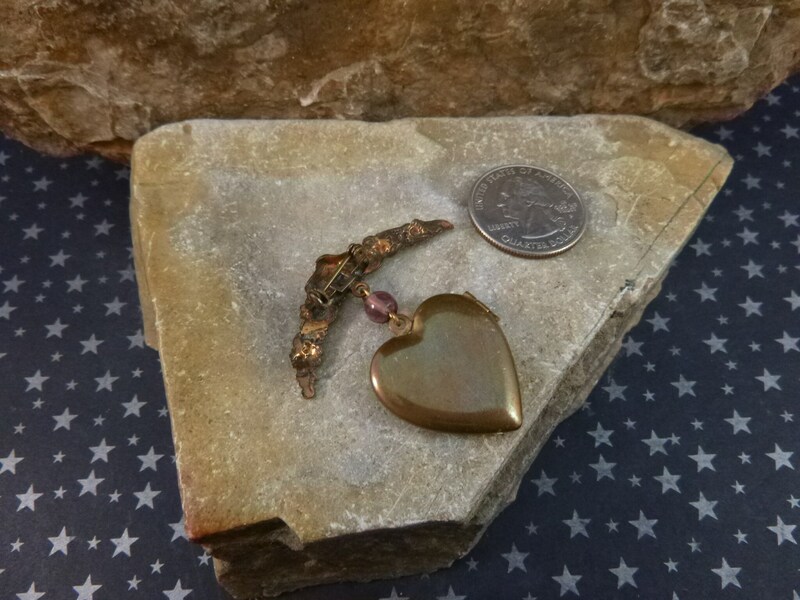 This heart locket brooch with a days-gone-by feeling was made by Pididdly Links, a Kingston, NY company founded by Steve and Elise Pittelman in l969. 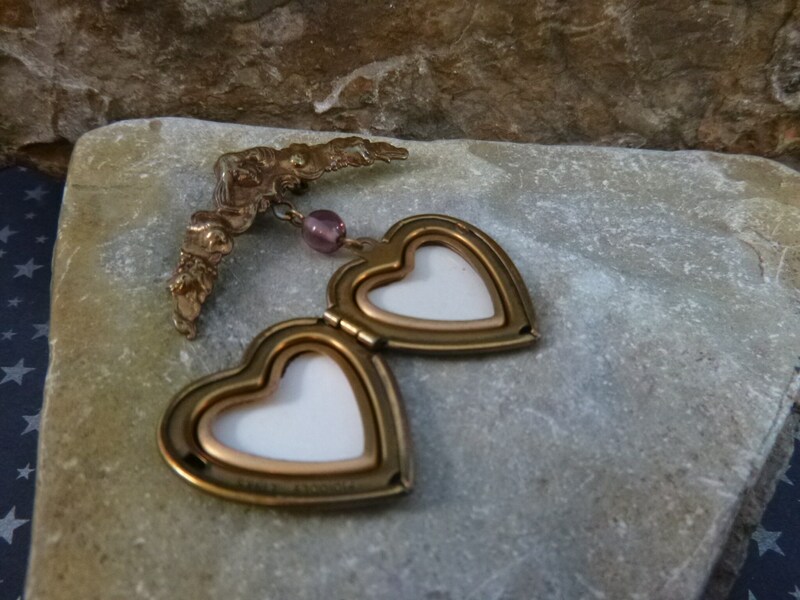 During the l970s, 80s, and early 90s, they used Victorian and Art Nouveau revived-styling in their costume jewelry designs. 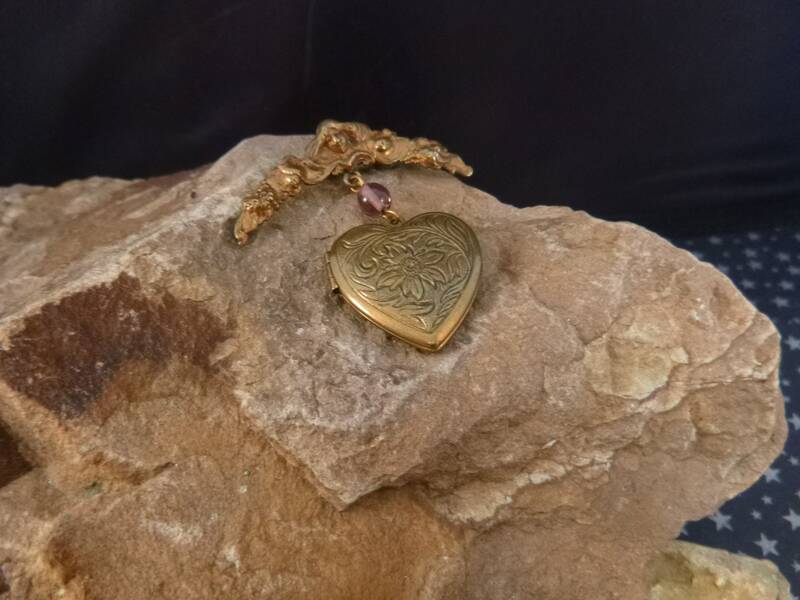 Their marker’s mark is in small block letters on inside of this lovely locket. 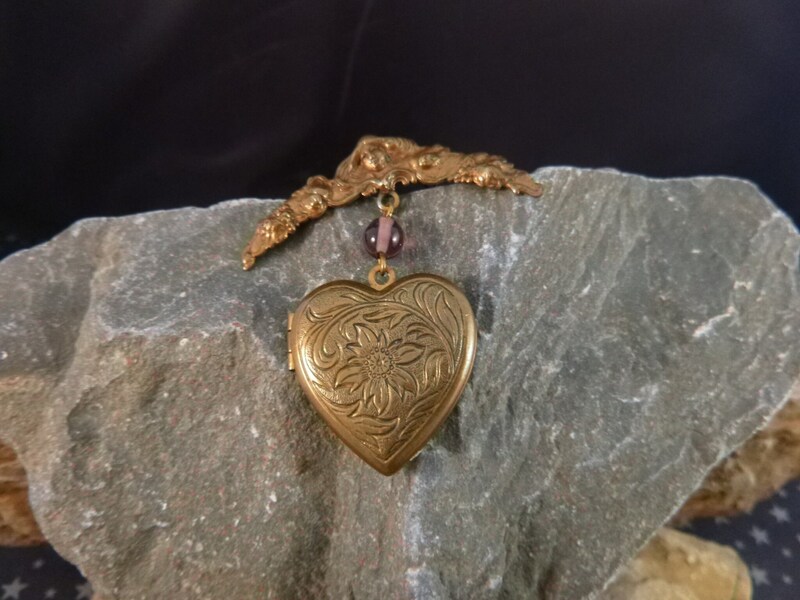 The locket has a place for two facing pictures, set in an antiqued brass-like metal floral heart, held with a purple bead ball. The top pin has a repousse design with grapes and leaves on the edges and a long haired woman’s face in the center. 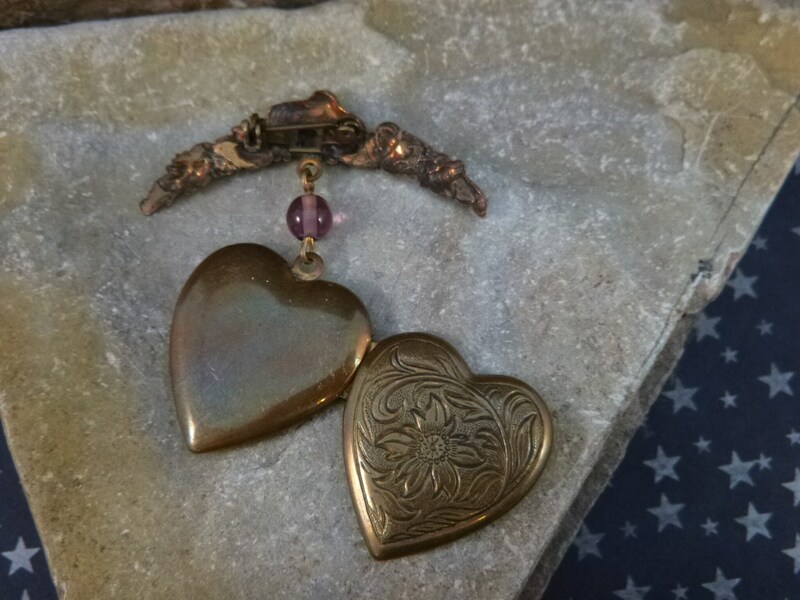 The patina adds overall depth and charm to this brooch. 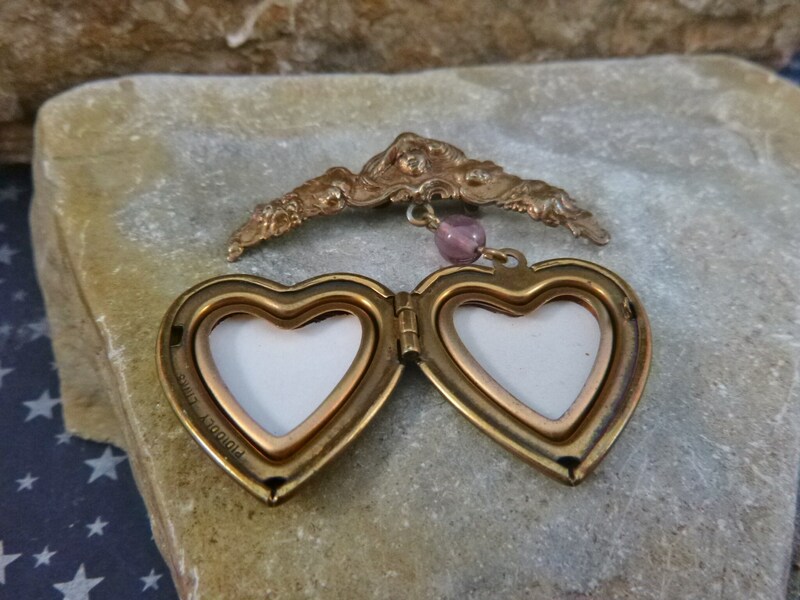 Overall this locket brooch is in good to very good vintage condition. There are wear marks on the back of the heart, which only add to its sense of yesterday. 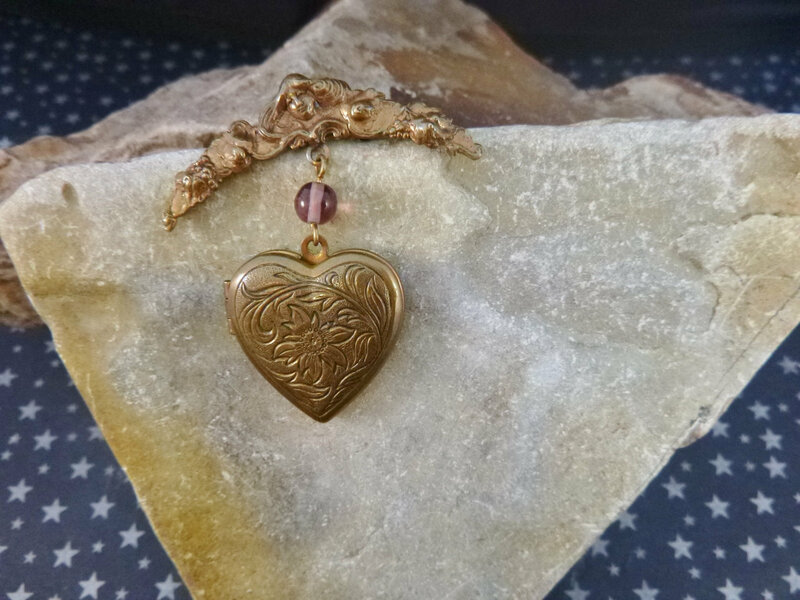 The pin and clasp, while small, are strong and secure; the locket closes tightly. Inside the right picture area has a plastic cover; the left does not. 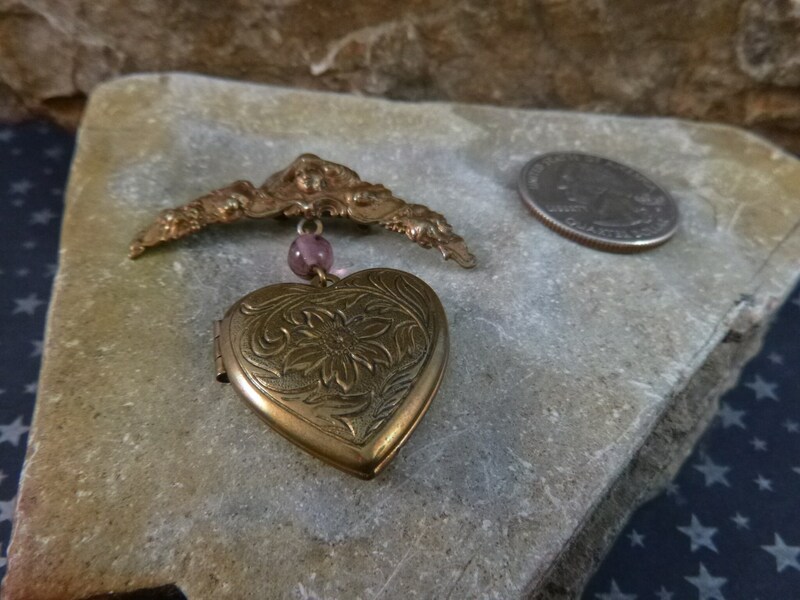 The brooch measures 1.75” in width and 2” top to bottom; the locket itself 1”. In an age of digital pictures and constant change, to have a permanent picture next to your heart of someone you love is charming. 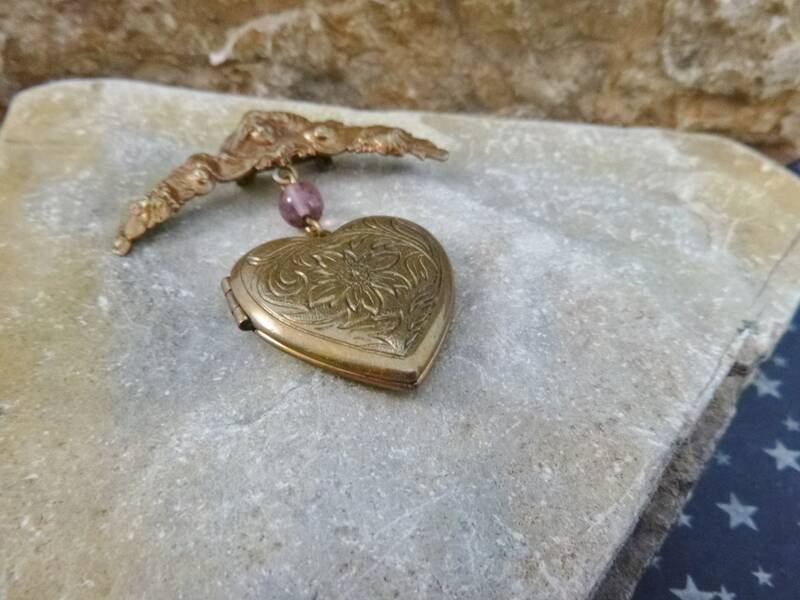 The pictures provide more perspective on the sentimental beauty and vintage condition of this signed Pididdly Links locket brooch.